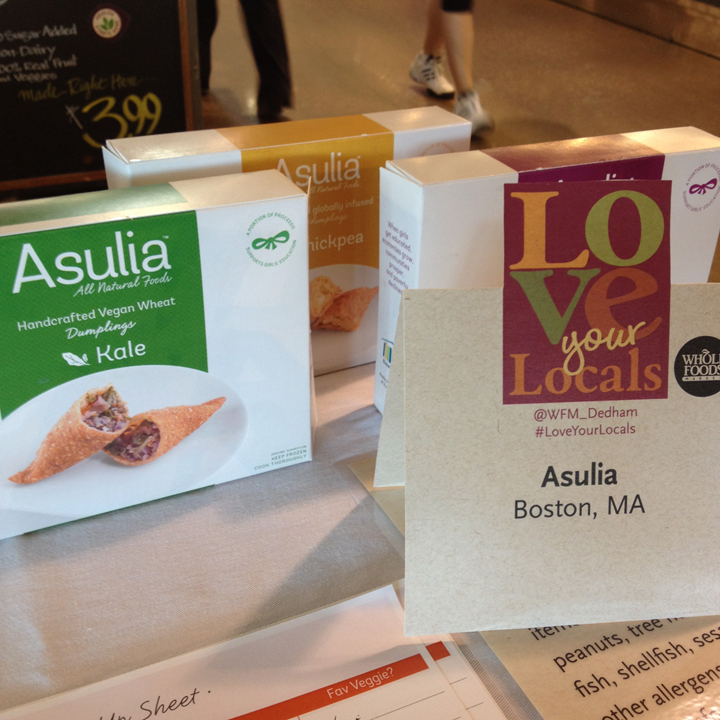 Asulia had a busy week spreading the dumpling love. 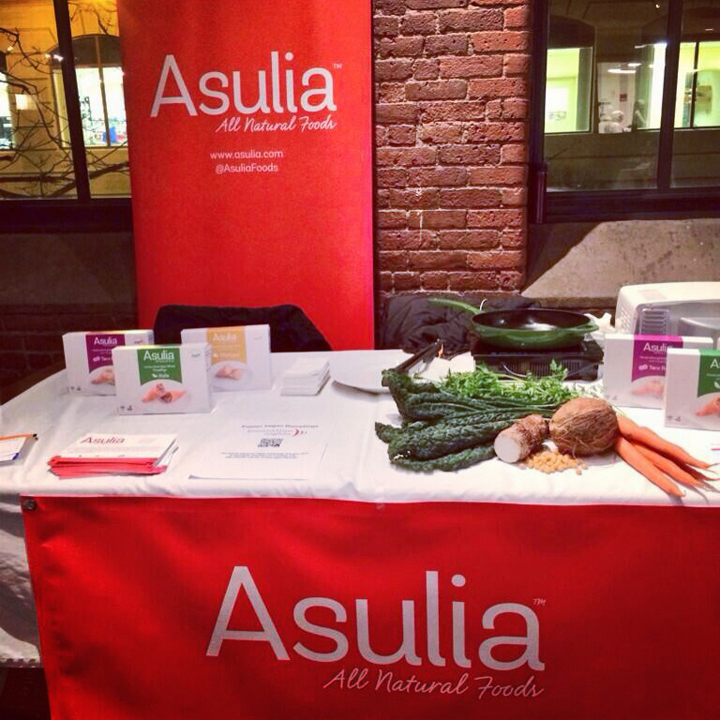 On 2/11/14, we participated in Whole Foods Dedham’s Love You Locals event. We loved this event because 5% of all sales from the store that day went to Milton Public Schools. As always, 5% from Asulia sales go towards Room to Read, so we were supporting education double-time. I think our happy spot is next to the salad bar. We’re not complaining. We love being next to vegetables. Swoon. It was great to see other local brands such as May Flower Brew, Harpoon Brewery, Nashoba Brook Bakery, Not Your Sugar Mamas, McCrea’s Candies, and more. Lots of great products all from New England! 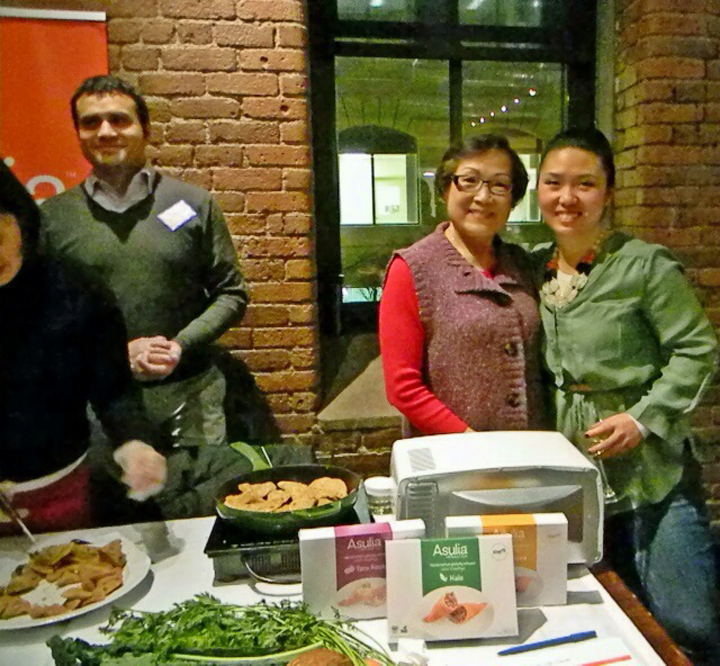 The next day, 2/12, our dumplings got toasty at Le Cordon Bleu as part of the Mass Innovation Nights Minfoodie 6 event sponsored by the Canadian Consulate of Boston. Food start ups everywhere! 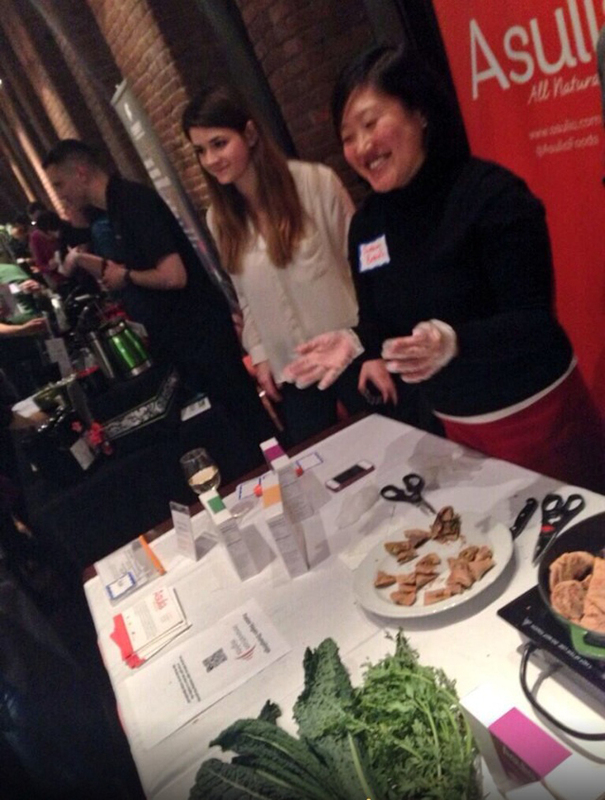 We had a blast chatting all things food startup while handing out samples of our vegan chickpea, kale, and taro root dumplings. And bonus – we were one of top four audience favorites! We received an American Express gift card, so yay, payment towards a Zip Car to help us to our next event. Special thanks to Kristen and Bobbie Carlton for making the event possible. Startups in Boston are lucky to have friends like you! You ladies rock. Also, many thanks also to our wonderful volunteers who helped to make sure everything went smoothly! Next, we’ll be in Lowell, MA on Tuesday, 2/18. 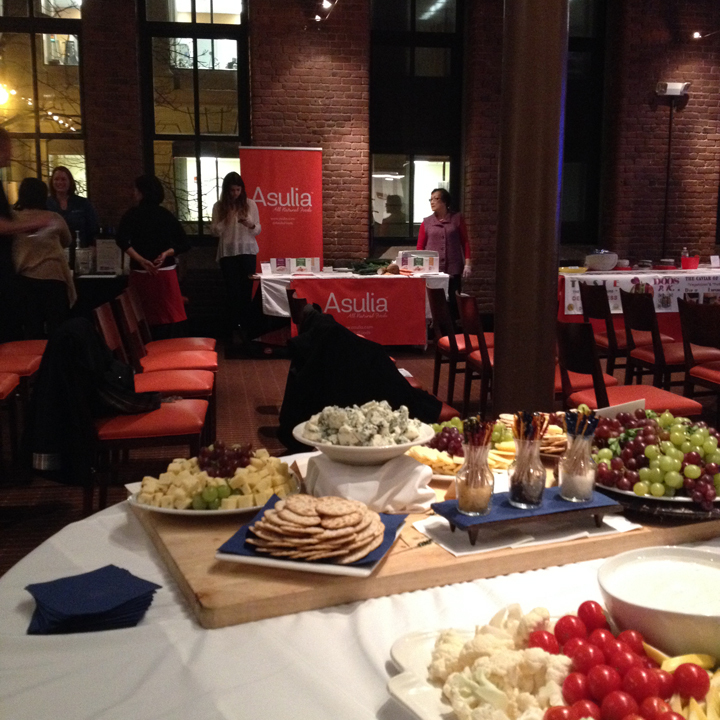 Asulia’s been picked to showcase at the 2014 Merrimack Valley Sandbox Consumer Ideas Pitch event! We’d love to see you there. It’s free to attend. Wondering where you can taste Asulia dumplings? See our events page.